and keep our eyes open (beyond the visible structure).” While that particular smallmouth refused to bite, with wider eyes, they began seeing more bass cruising. Specifically, they noticed the bass were relating to bluegill, “We saw a lot of bluegill beds, and the bass were eating them,” Gipson claims. 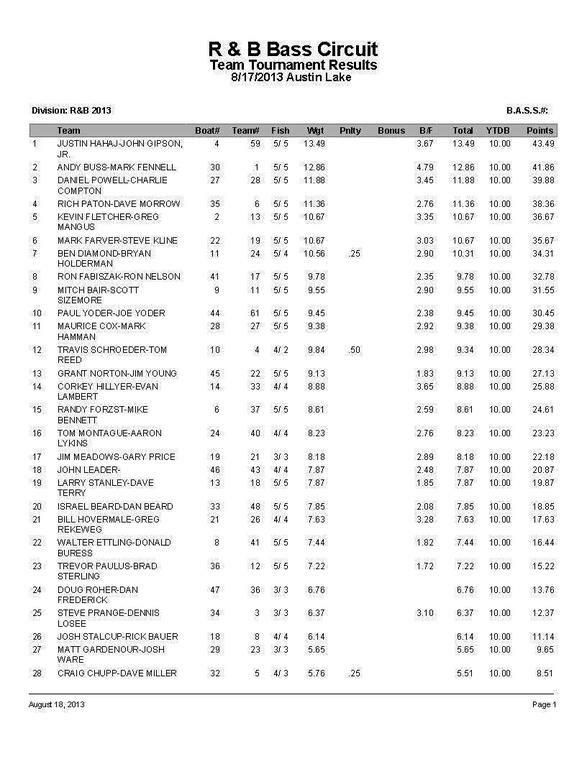 Thus, they dominated 46 other teams by sight fishing in mid August. While they only caught 15 keepers (yes, that is sarcasm), they saw an estimated 75 keepers cruising. 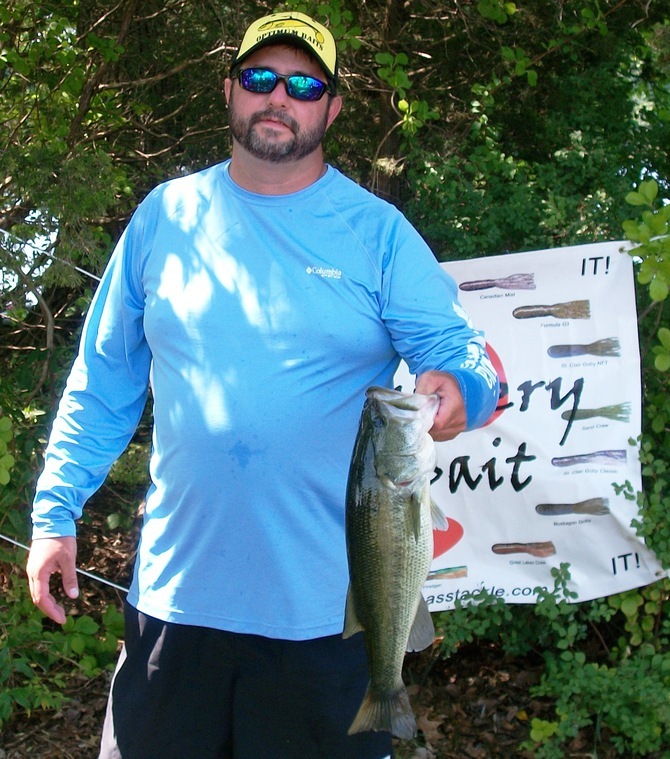 A host of baits were ignored, “Only one in every five or six keepers we saw bit.” Finally a Jackall flick shake worm in both Cola and green pumpkin colors matched up with 1/16 ounce jighead proved efficient. A few fish were also fooled by green pumpkin jigs. Just as the fish were actively moving, so did the team. They circled roughly ¾ of the lake looking for cruising fishing, but their biggest fish, a 3.67 pound smallmouth, may have been doing more than just cruising. Gibson swears, “As crazy as this sounds, we think that fish was on a nest. It came from an aqua colored depression that you never mistake as anything but a bed in the spring.” They also claim to have seen several other potential spawning nests. Their discovery and efforts were awarded with $746. Welcome to the best congregation of fishermen in Michiana. 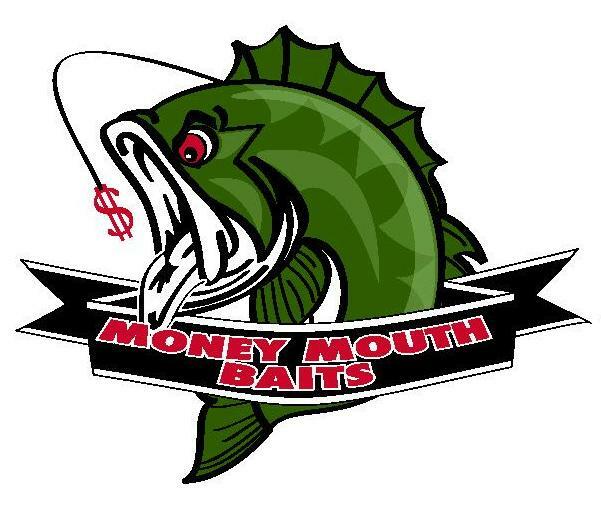 2nd Place: The saying goes, “Even a blind squirrel finds a nut once in a while.” Case in point, tournament directors Andy Buss and Mark Fennell landed a 12.86 pound limit that was anchored by the Money Mouth Baits Big Bass, a 4.79 pound smallmouth, to claim second place. 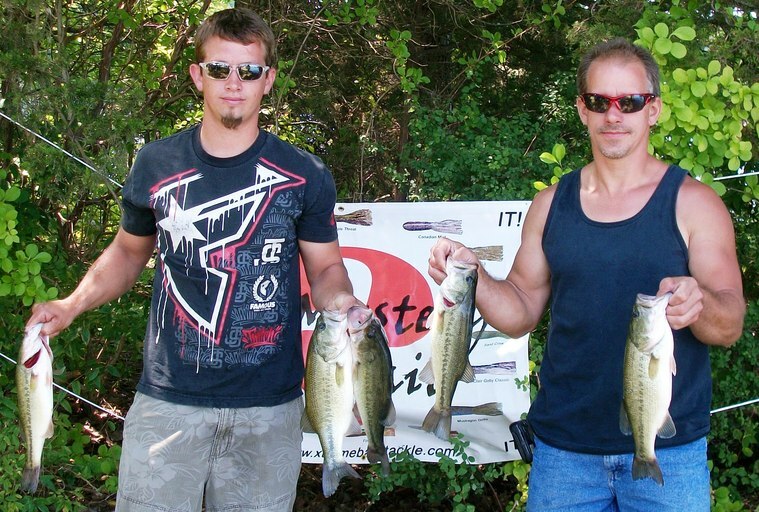 The high finish won them $472, while the big fish awarded them an additional $376, making their total payday $848. “Around 11:00, a four pound smallmouth bite my tube and promptly spit it 20 feet from the boat. I was sick to my stomach, and struggled to erase it from my mind. 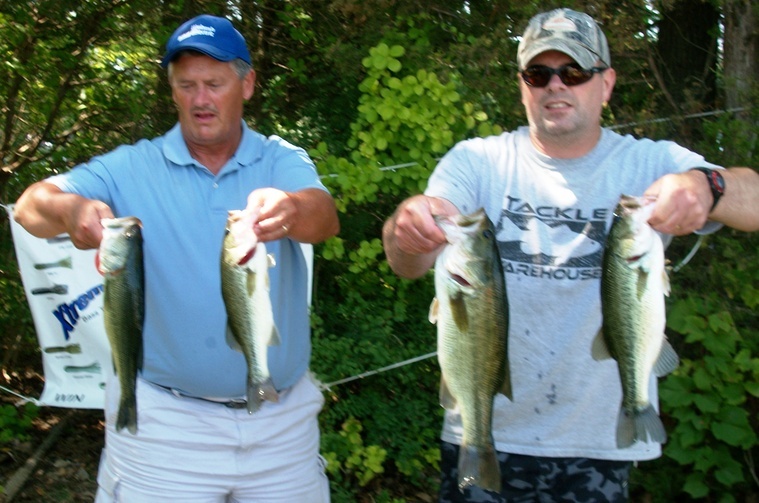 We had been fishing the same general area since the beginning of the tournament and at 12:00 new scenery was tempting. It was tough to leave because that lost fish had proven bigger fish were around, but after only a handful of shorts in the past 2 ½ hours, we packed it up and headed to skip some docks. “We were blessed with a consistent morning bite. Our first keeper came around 7:30,followed by another at 8:00, 8:30, 9:00, and 9:30. It almost scared us, but reality kicked us in the head after that as the bite completely died. Even short fish were far and few between. Knowing the winds were going to remain calm and bluebird skies were also going to remain, we knew the bite was not going to get easier, so to have a limit gave us a tremendous confidence boost. We also felt a single big fish would takes us a long way up the board, and of course it bit, and of course it spit. 3rd Place: Patience and an 11.88 pound limit helped Dan Powell and Charlie Compton log their first top 5 finish of the season. 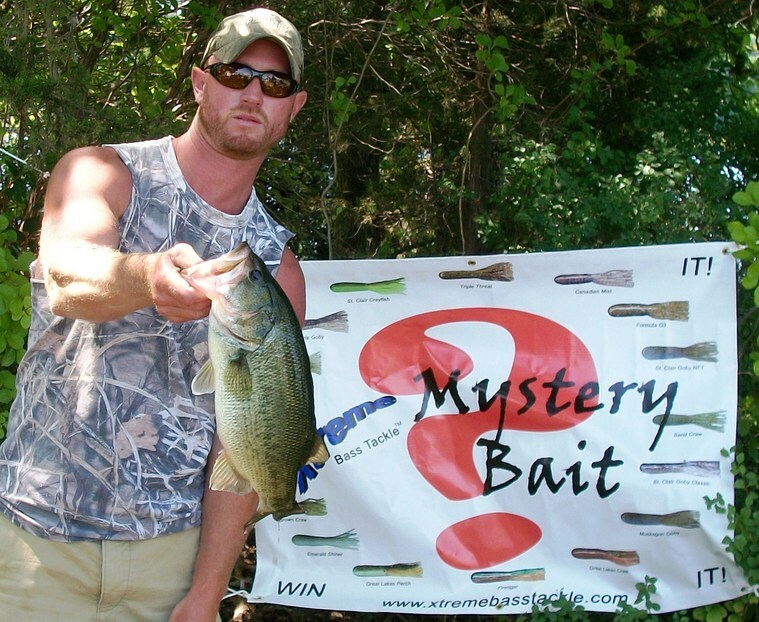 Compton has no problem admitting, “We are known for fishing slow and throwing a slider head. People who know us, know that’s what we do. Our casts are so long, you can eat a sandwich and drink a pop during one.” The effectiveness of the strategy is undisputed this time as their patience won them $348. at the first weed bed we saw and never left it.” To make this perfectly clear to the reader, the team of Powell and Compton, having never seen Austin Lake before, ran up to the first weed bed they saw, fished it for seven hours, and finished third place in a field of 47. Talk about conserving gas and time. While it would be easy to cast this off as dumb luck, their assessment of the weed bed was critical and a result of many years of experience. “We saw several good fish (in the weeds), and knew the bite would be tough. So we knew if we could wait them out and get five of them, it would make us competitive.” Indeed it did. Their Slider head jigs weighed just 1/16 ounce and were paired up with Zoom centipede baits in both green pumpkin and cotton candy colors. began witnessing the same as the winners. “We saw so many 4-6 pound fish, it was sick!” recalls Morrow. Unfortunately, they were not able to figure out how to coax any into biting. Regardless, they still went home $248 richer. 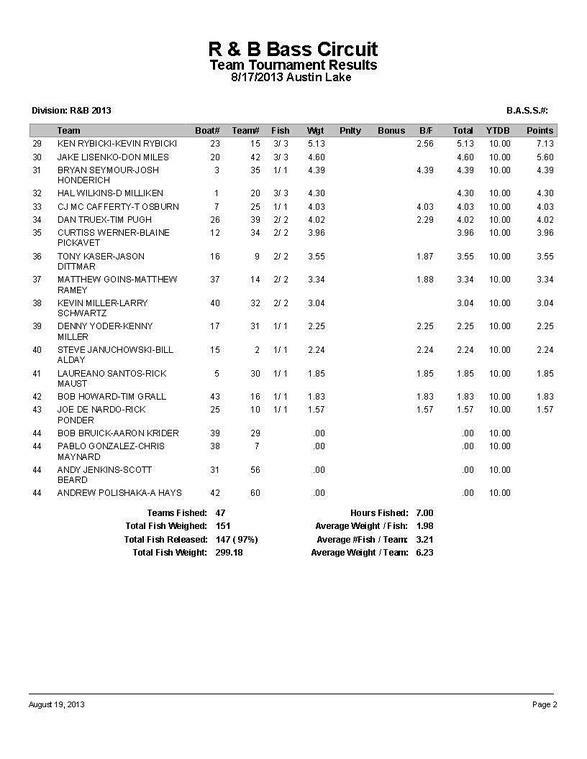 5th Place: In five events this season, the team of Greg Mangus and Kevin Fletcher have logged a top 5 in each of them. Consequently, they stand alone in the Standings with a 20 point lead on the closest competitor. 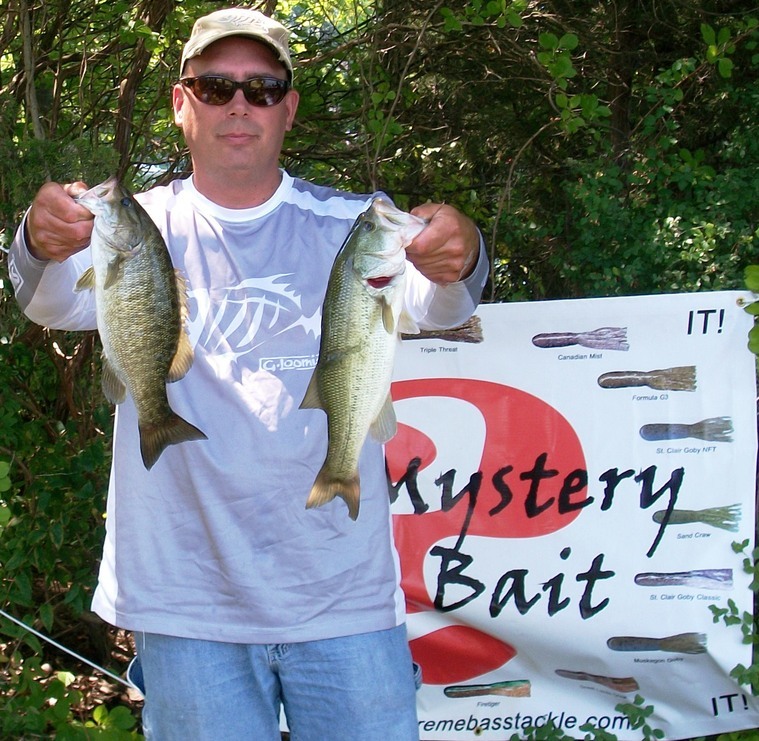 They are also the only team to have weighed a limit at each tournament. However, it is worth noting here that the leaders actually finished this tournament in a tie with Mark Farver and Steve Kline. The tie was broken up by the biggest fish, which Mangus and Fletcher possessed. amount of water tossing a variety of baits, but only landed keepers, eight total, with a weightless grape watermelon wacky rigged finesse worm. Their 10.67 pound limit won them $198. 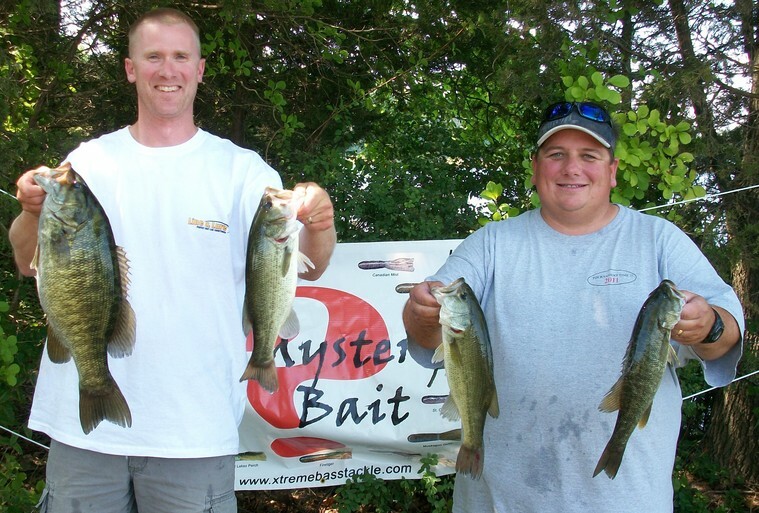 6th Place: Mark Farver and Steve Kline (left) took a little boat over into adjoining West Lake and landed 10.67 pounds to win $174. 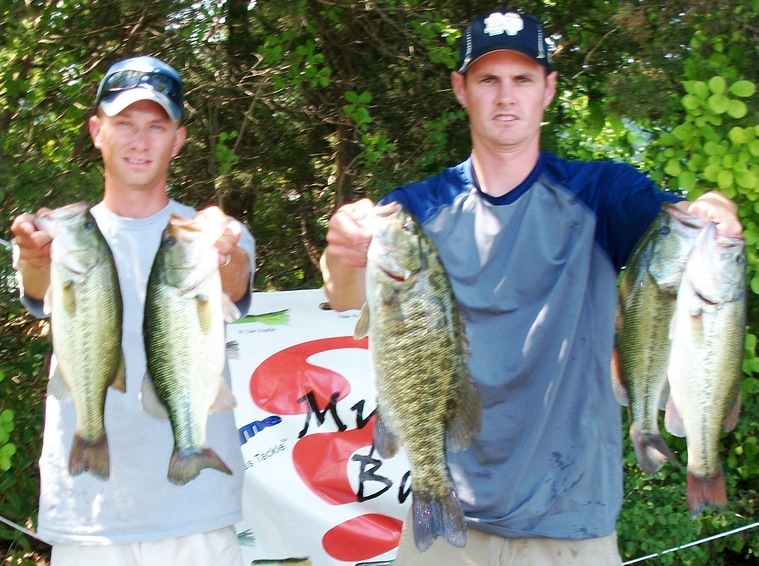 7th Place: A 10.31 pound limit awarded Ben Diamond and Bryan Holderman (right) $124. 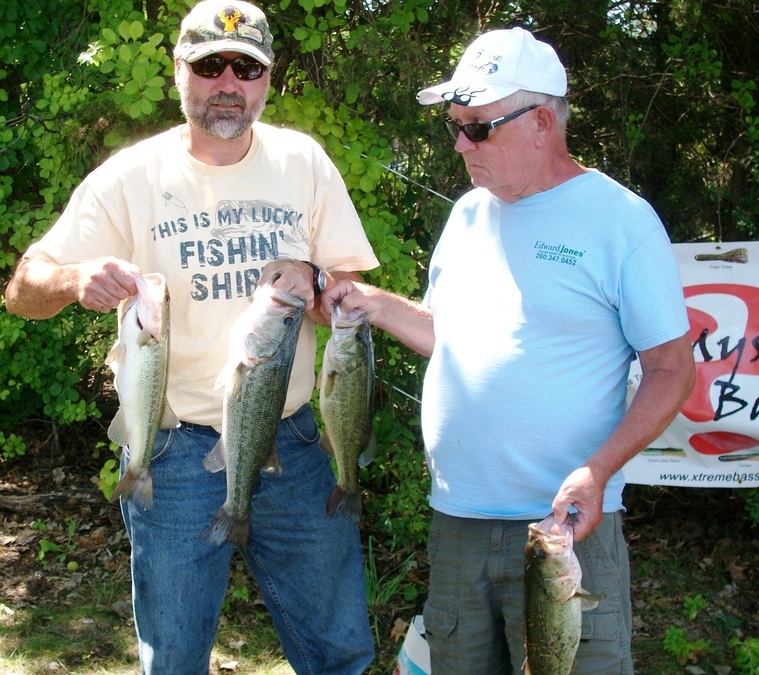 8th Place: After a disappointing finish at Randall Lake, Ron Fabiszak (left) and Ron Nelson landed 9.78 pounds to win $100. 9th Place: A 9.55 pound limit not only won Mitch Bair and Scott Sizemore $75, but has kept them in the top 3 in the Standings. 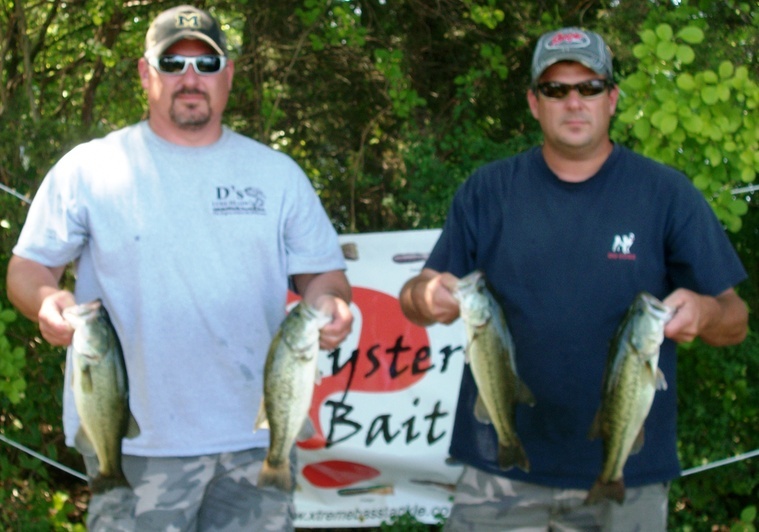 D's Lures Award: Paul and Joe Yoder (right) made their first appearance in 2013 and took home apparel and tackle provided by D's Lures. Optronics Award: Maurice Cox and Mark Hamman won the first ever Optronics Award. Their boat trailer will be decked out in brand new LED lights when they roll into the next R & B tournament. 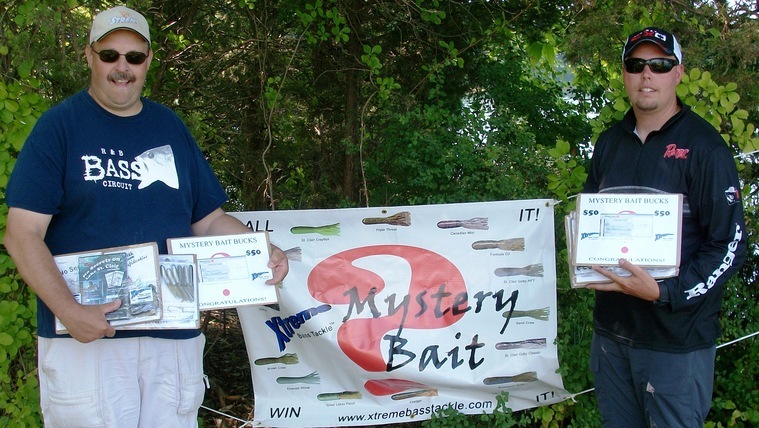 Mystery Bait Winner: Josh Stalcup and partner Rick Bauer were the recipients of the Mystery Bait presented by Xtreme Bass Tackle. 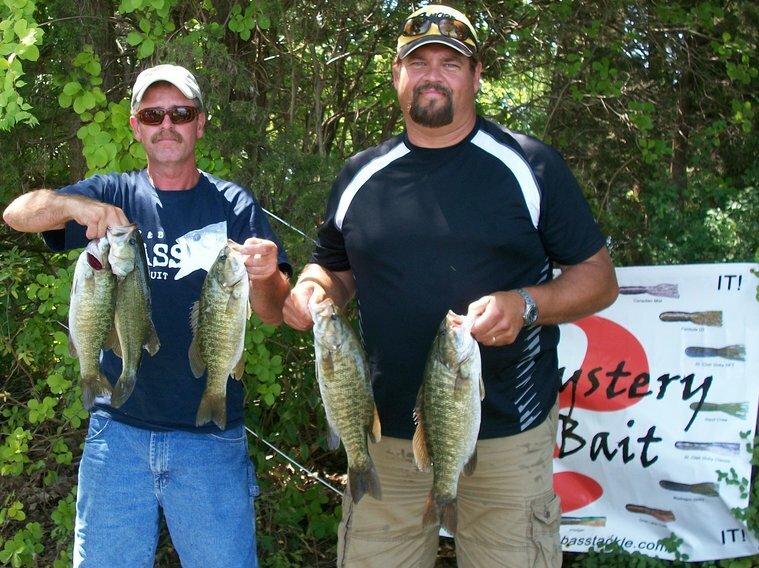 By using a drop shot tube in the sand craw color scheme, they won $150 in merchandise and $100 cash! 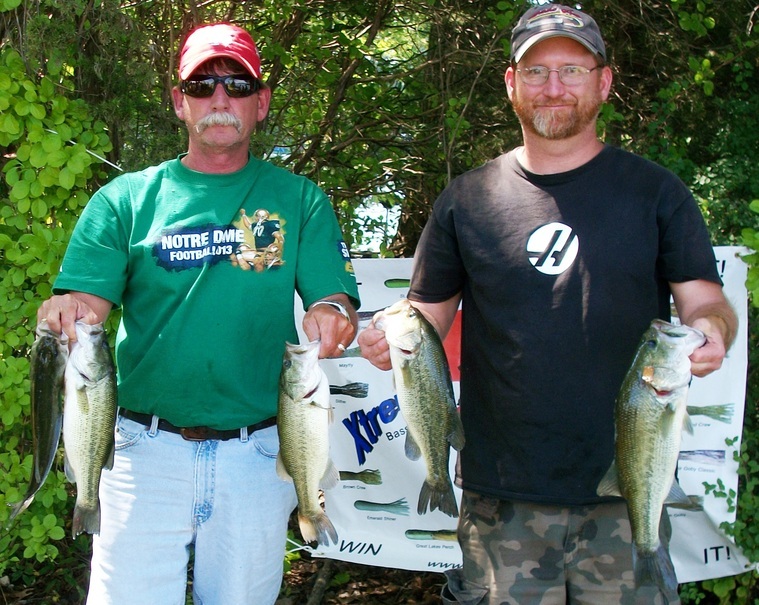 Despite fishing solo, Bryan Seymour (right) was able to land the second biggest fish of the tournament, a 4.39 pound largemouth, and take home $94. 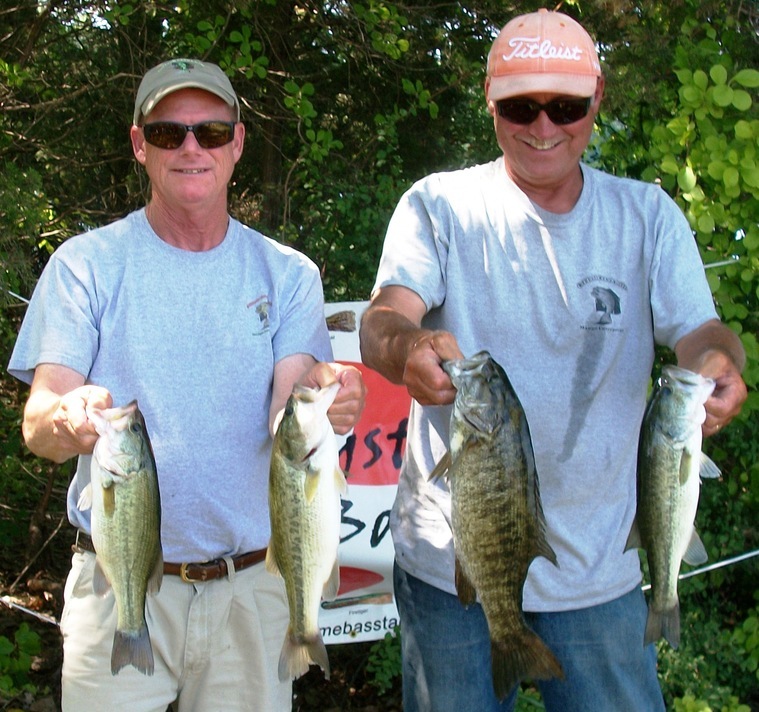 C Flash Big Bass Award:CJ McCafferty and Tom Osbun (left) caught the third biggest bass, a 4.03 pound largemouth and earned tackle provided by C Flash Crankbaits.